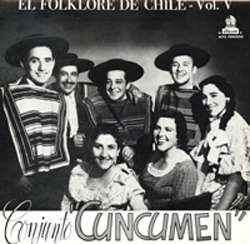 CuncumÃ©n was formed in 1955 and was active until 1970; A later incarnation of the group was formed in 1996 and is still active. They have a web site and discography. Rolando AlarcÃ³n as in the group from 1955 to 1962, and Victor Jara appeared on some songs during that period also.